The centre believes in the importance of recycling and the reduction of landfill waste and does it’s part in helping the environment. 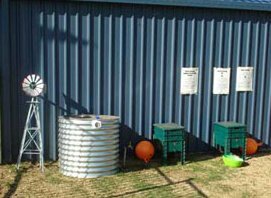 The centre is equipped with 8 recycle wheelie bins that are used for paper waste, milk bottles and other recyclable material. The Centre recently received a visit from the Ipswich City Council Recycling Education Van. 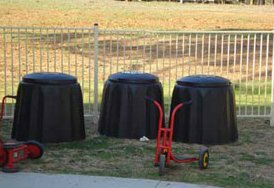 The centre also has several compost bins and children are taught about the values of composting. 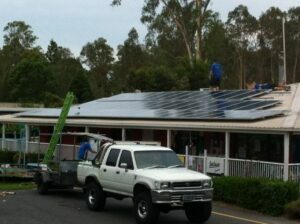 Bush Kidz recently invested $120,000.00 in solar power for all 3 Bush Kidz centres. The centre has 5 worm farms and children study and feed worms to make fertilizer for the gardens.